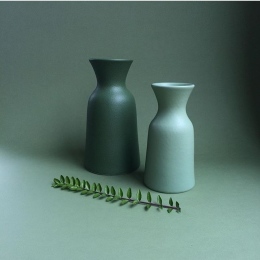 Designed and created by Federica Bubani, this elegant pair of carafes are full of rustic, Italian charm. 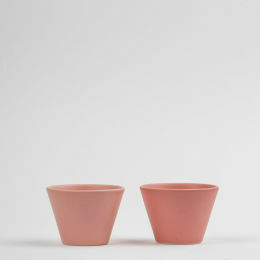 Crafted from ceramic, they have a soft matt finish and come in two tones of rose pink. Minimalist in design they are extremely tactile and beautiful to behold. Use as a vessel for holding water, milk or as a decorative piece for your home.